On the 28th of November Kista Världsmusikfestival and Department of Computer and Systems Sciences, Stockholm University, welcomes you to the seminar “Music in the gaming industry – Present and future opportunities”. Take a look at how music is fast becoming an important aspect of today’s computer and video games, and how the music industry is finding a new market within the interactive entertainment sector. During the seminar you can listen to representatives from DICE, Paradox Development Studios, and Coilworks, and get an insight into their respective perspectives on the topic. The seminar will be held in English, is free of charge and open for everyone. How has the music of games evolved? From simple MIDI recordings to today’s involvement of large orchestras and studio recordings. What kind of market is emerging for musicians in the gaming industry? Practical experiences of musicians and game production companies. How can music enhance immersion and player experience? Present and future visions. How can musicians learn more about getting involved in the interactive Entertainment sector? How is academia responding to this growing market? What research has been done in the field and what conclusions did it reach? The seminar takes place on Thursday 28th of November, 6 pm, Sal A, DSV, Forumhuset, Isafjordsgatan 39, Kista. R.S.V.P is required for the seminar. Welcome! If you are using Facebook, Facebook – event for the seminar. 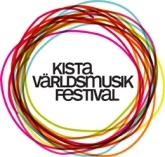 More information about Kista Världsmusikfestival can be found by using this link. Bence is partly responsible for the good reputation that DICE got for the sound in their games. Ha has worked at DICE for 10 years, almost exclusively with the Battlefield series and currently as Audio Director for Battlefield 4 coming out this fall. He began his career as a musician and has also been part of the first game music concert Play!, performed at Stockholm Concert Hall. Andreas is an in-house composer at Paradox Development Studios and Paradox Interactive, where he is in charge of music for most of the games. Previously he worked nine years as a freelance composer in which he wrote music for games such as Crusader Kings 2, Europa Universalis (3 and 4), Hearts of Iron series and Rome. The interest of games began in his childhood and eventually became a perfect complement to his music studies. Jacob is a freelancing video game composer, song writer and producer. He studied music at the University of Skövde where he went from an interest in scoring for movies to immersing himself into the world of video game music. Jacob is currently writing music for independent game developers at Coilworks. Cecilia is a creative producer with focus on producing games, conferences, parties and exhibitions. With her passion for participatory culture she was one of the team who created The Monitor Celestra – a larp inspired by sci-fi TV-show Battlestar Galactica which got attention from BSG fans and larpers all over the world. She is co-founder of Berättelsefrämjandet and when she doesn’t arrange larps, lectures, parties or play board game with her friends, she relaxes with one of her game consoles. Or just dance the night away.